Providing the highest quality of interior and exterior painting, power washing, and carpentry services. You’ll receive exceptional service and complete customer satisfaction. Stewart Painting works diligently to maintain its distinguished reputation. 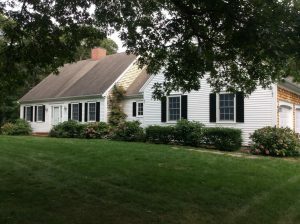 We service Cape Cod and the South Shore with offices in Hyannis and Hingham. For Residential, Commercial, Historical Properties, Municipalities and more. We understand that the best paint job not only adds interest and curb appeal but it also increases the value of your home. The secret to a beautiful home is a perfect finish. Delivering perfection is Stewart Painting Company’s forte. At Stewart Painting, we know how important it is for the aesthetic of your business to match your drive to succeed. 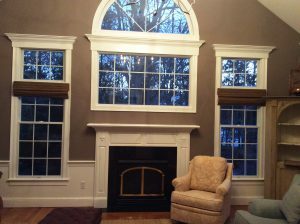 Stewart Painting is a full service residential and commercial painting company that has been serving Cape Cod and the South Shore for more than 30 years. We provide the highest quality of interior and exterior painting, power washing, and carpentry services. Our team of professionals consistently strives to exceed customer expectations. We pride ourselves on exceptional workmanship and customer service.